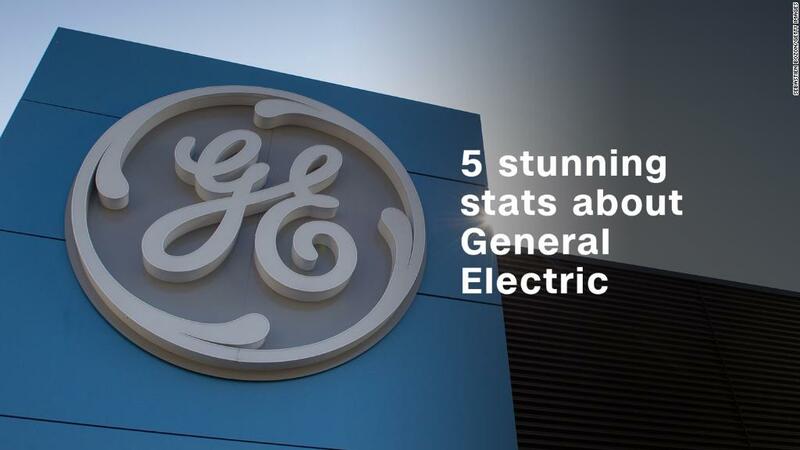 General Electric has a long history of disrupting the industrial landscape through breakthrough technologies like the jet engine and the light bulb. Today, GE is the one being disrupted. The iconic company has been badly caught off guard by the dramatic rise of renewable energy at the expense of fossil fuels. Rapid adoption of solar and wind has created chaos in GE's power division, which makes giant turbines and generators used by coal and natural gas power plants. GE Power's problems have helped spark a scary cash crunch that led the conglomerate to slash its dividend for just the second time since the Great Depression. GE shares have lost more than 40% of their value this year. GE's deal-making worsened its exposure to fossil fuels. Rather than transforming into a clean energy powerhouse, GE doubled down on fossil fuels in 2015 by acquiring Alstom's power business, which makes coal-fueled turbines. The $9.5 billion deal was GE's biggest-ever industrial purchase and made GE Power its largest division. GE also increased its oil and gas footprint by merging those businesses with Baker Hughes (BHGE) last year. GE Power is in shambles today because power plants are increasingly ordering solar and wind technology instead of gas and coal turbines. As GE's (GE GENERAL ELECTRIC CO) orders have tumbled, it's been forced to offer deep discounts on products and services. Now, the business is grappling with massive overcapacity. In response, GE Power recently announced plans to cut 12,000 jobs in a bid to shrink its footprint and slash $1 billion in costs. While "gas and coal have softened," GE acknowledged that renewables are growing rapidly and stealing market share. GE Power CEO Russell Stokes said the job cuts were "painful but necessary" to respond to the "disruption in the power market." GE isn't the only traditional power player getting rocked by renewables. In November, industrial conglomerate Siemens announced plans to cut 6,900 jobs, mostly in Germany and the U.S. Siemens, which provides turbines and services to companies that generate power from oil and gas, cited the rise of renewables. "The power generation industry is experiencing disruption of unprecedented scope and speed," Lisa Davis, a Siemens board member, said at the time. Siemens (SIEGY) didn't seem to see the renewable threat coming either. In 2014, the German company spent $1.3 billion to purchase Rolls-Royce's gas turbine and compressor business. Siemens followed that up the next year by shelling out nearly $8 billion to buy Dresser Rand, a supplier of oil and gas equipment. There are signs that renewables may continue to gain ground on fossil fuels, especially coal. "The seismic shift in renewables economics" will cause "large reductions in carbon intensity in the global power sector," Morgan Stanley wrote in a recent research report. The key is that solar technology has gotten dramatically cheaper, making it competitive in some markets against fossil fuels. The price of solar panels has been cut in half in less than two years, Morgan Stanley estimates. Wind is also getting more affordable. All-in costs for wind power in some countries that have strong wind conditions can be one-third to half as expensive as coal or natural-gas plants, Morgan Stanley said. Several major markets have reached an "inflection point where renewables are the "cheapest form of new power generation," Morgan Stanley wrote. It expects that trend to spread to "nearly every country we cover by 2020." The good news for GE is that at least part of its vast empire stands to gain from the rise of renewables, especially wind. GE has a renewable energy division that generates about $9 billion in annual sales, mostly through the sale of wind turbines and water power systems. GE has shipped more than 30,000 wind turbines since it entered the space in 2002. In April, GE completed the $1.65 billion acquisition of LM Wind Power, a Danish manufacturer of rotor blades. Earlier this month, GE touted the sale of 90 wind turbines to Thailand, marking its biggest renewable deal ever in that country. The problem, for GE, is that its renewable energy business is dwarfed by its traditional power business, which has generated almost four times as much revenue this year. That means the pain from power is likely to continue to overshadow the growth from renewables.